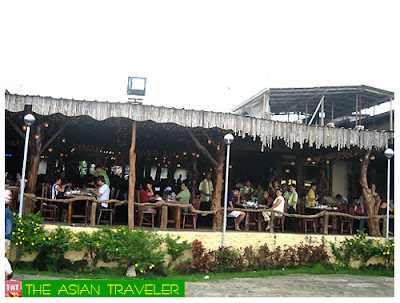 Tagaytay is an interesting place for food tripping. We headed off to this place for another weekend getaway and we've decided to have lunch at Leslies Restaurant, known for Filipino dishes. At the entrance one of the staff greeted us and led us to our table. The place was packed, noisy and a bit chaotic. After being seated at a comfortable table, we ordered their house specialty called "Bulalo" Php 499.00 and we also had Beef tips Php 299.00. 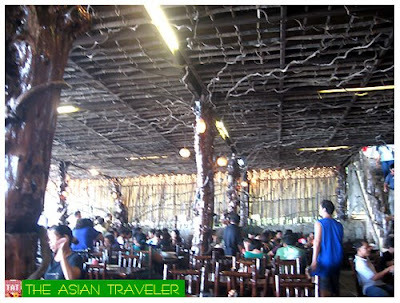 We enjoyed the ambiance of the restaurant, very casual and cheerful. The roaming local band and singers were also a nice addition to the mood. The service was a little slow maybe because the place was full at that time. 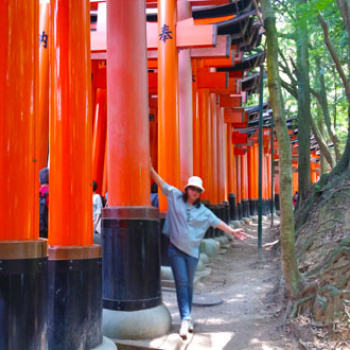 While waiting for our food, hubby went outside first to further explore the place. 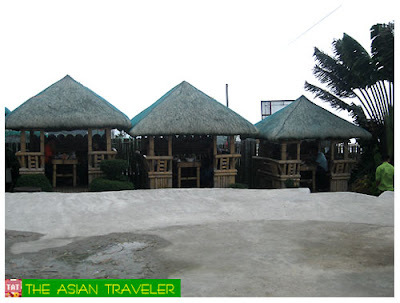 He took some photos of these modest nipa huts located outside the main dining area, where you can also see the fantastic views of the Taal Lake and volcano. 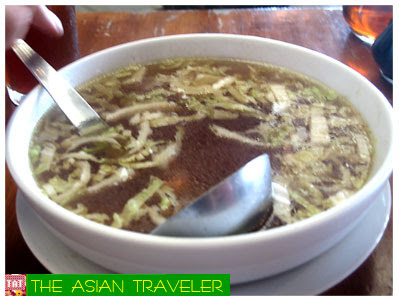 While I was sitting alone and waiting for the main entry, one of the waiters brought to our table a big bowl of steaming "Bulalo Broth" and told me that it was on the house. Wow! I didn't expect that. After a few minutes our order came. The Bulalo comes in a super huge bowl and the massive portions were a little overwhelming. Thankfully, it was superb, flavorful and zesty. Unfortunately, we still ended up being too full to finish it and to try some of their desserts. This restaurant is good for families and large groups. I think they also accept party and wedding packages. You may come early or book your table in advance because the place is always chock-full. Parking lot is huge. Luckily, this restaurant is just near The Boutique Bed and Breakfast, where we made an early reservation for our one night accommodation. 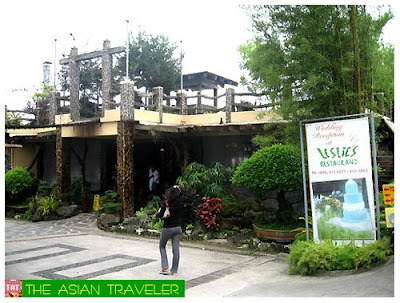 Leslies Restaurant is located at Aguinaldo Highway Crossing, Silang West, Tagaytay, Philippines (Tel. N0. 046-4131065). 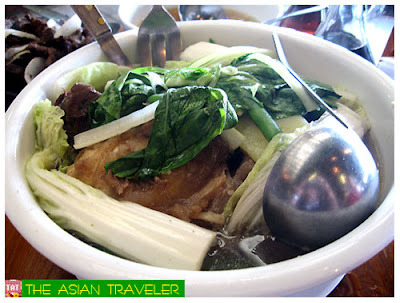 Whenever I'm in Tagaytay, I make sure I eat Bulalo. 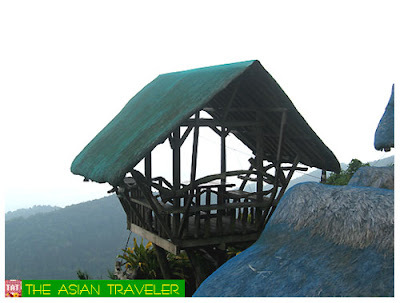 It's the perfect match to Tagaytay's cold climate. Hello there. we just want to thank you for this very nice article you wrote for Leslie's Restaurant.I know it's kinda late for my response but we highly appreciated this, by the way yes we accept reservation for any event or function you have in mind and we also branch out here in alabang and in CEPZA, Cavite City.You may contact me at 772-4236 or email me at cguevarra.leslies@yahoo.com.Again thank you and hope to visit us again.